Incident:Killed whilst attempting to rescue a fellow Ranger. Folk Figure. 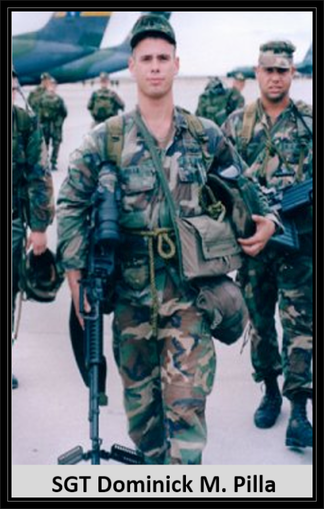 He served as a Sergeant in Company B, 3rd Battalion, of the 75th Ranger Regiment of the United States Army. He was killed in Mogadishu, Somalia, on October 3, 1993, with several others, including 5 others from his regiment, and over 1,000 Somalians, in the war to try and overthrow dictator, Mohammed Farah Aidid. Aidid was finally gunned down in 1996. The story was the basis for the 2001 film, "Black Hawk Down." Sgt. Dominick M. Pilla, 21, of Vineland, N.J., assigned to the 3rd Battalion, 75th Ranger Regiment in Fort Benning, had zest: No smoking, no drinking, vigilant against flab but a lover of fun. "He was a real hell-raiser. He was a real card," said his mother, Diane Pilla. "He loved life." His father, Ben Pilla, a Vietnam War veteran, gave the son big shoes to fill. That's why Dominick chose the elite Army Rangers, his family said. Still, Pilla figured when he got out, and it would be soon, he would angle for a job at the FBI, or the Drug Enforcement Administration. "He always wanted to be special," said his older brother, Frank, 23. "He wanted to be one of the few, not one of the masses." Dominick Pilla was with a convoy taking an injured soldier from the October 3 firefight to be treated. He was killed when the U.S. Humvees were ambushed. SGT Pilla was posthumously awarded the Bronze Star Medal for valor. It had become a tradition in a family that had sent sons off to war: After Sgt. 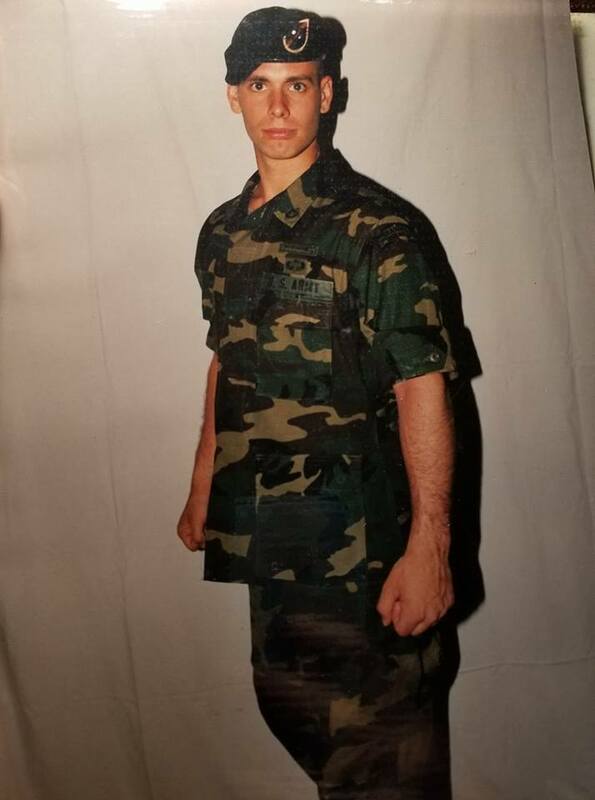 Dominick M. Pilla, 21, deployed to Somalia with his Ranger company in August 1993, the family put together a package of pepperoni sticks and balls of provolone cheese. Dominick's father, Benjamin Pilla, had gotten such a package when he was serving in Vietnam. Frank Pilla, Dominick's brother, had gotten one while off the coast of Kuwait during the Persian Gulf War. Dominick Pilla's package was returned unopened to his parents' home in Vineland N.J. He had been killed before it reached him. Dominick Pilla had heard his father's war stories and had seen the pictures he'd brought home from Vietnam. “I told him how people get killed and get wounded, lose arms or legs,” says his father. “It's not all glory. 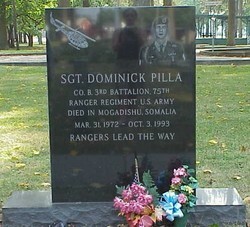 He knew that.” Regardless, Dominick Pilla decided as an adolescent that he wanted to join the Army and be a Ranger. He enlisted in the Delayed Entry Program while in high school, then took up a rigorous exercise and body-building program to prepare for Ranger training. 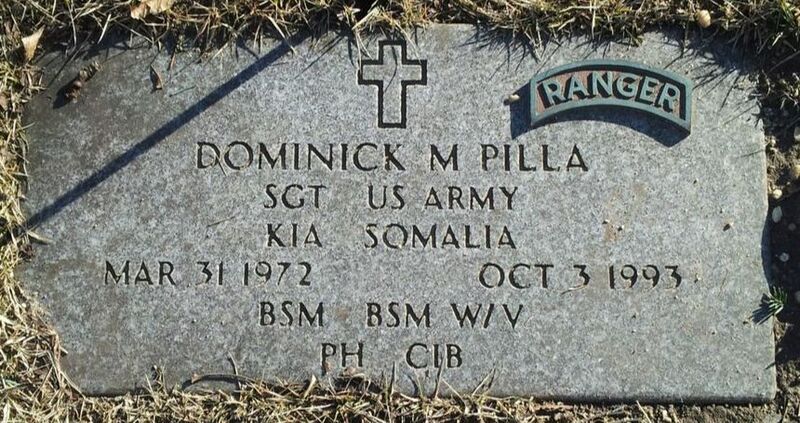 Dominick Pilla and his father had a long talk in June 1993, during Dominick's last leave before deploying to Somalia. “He said, `I realize what we do, I could get killed or wounded. I just hope it's not Somalia or Bosnia.' He knew the futility of it,” says Benjamin Pilla. Dominick Pilla was with a convoy taking an injured soldier from the October 3 firefight to be treated. He was killed when the U.S. Humvees were ambushed. 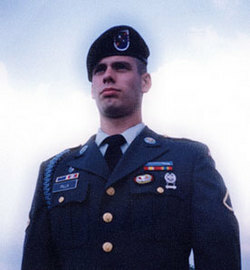 Dominick Pilla was posthumously awarded the Bronze Star Medal for valor.